From January 1st 2017 until Sept 15th 2017, I worked as “IT Demand Excellence Manager” at PVGroup. I managed a team of about 5 Enterprise IT architects and 5 Domain Experts (Non-Life, Life, Claims, Employee Benefits and Front). This was a very good team to aim at the description of the complete Enterprise Architecture : from Business Processes to Technical Infrastructure. This was the ITDEME (IT Demand Excellence) process. I just wanted to draw your attention to a SCRUM/KANBAN/XP acronym : INVEST. Strategies for your enterprise architecture: people or documentation ? You have basically two strategies for keeping your Enterprise Architecture knowledge under control. The first one is to capitalize on people. If your organization is stable enough you can assign clear responsibilities and you should be able to find the right information by finding the right person. The second one is to capitalize on documentation. Through deliverables you make sure everything is described as it should be. This is most suitable if you have a high collaborators turnover like when you work with a lot of sub-contractors. The ideal world is probably to have both. I’m a deliverable minded person and I so I tend to prefer the second one. I value information sharing as it often avoids job protection and silo thinking. The notion of deliverable is also linked to another value that I like : personal contribution. If you know some other interesting links let me know. Comment or Tweet @jfdeclercq_biz. What to do with a Business Process Management Platform ? IBM’s Software Portfolio contains Business Process Management Tools. When and how you should use a BPM platform such as WebSphere Business Process Manager depends on the type of Business Process that you want to automate. I classify 4 types of Business Processes in a 2 dimensional table – 1 is not enough and 3 is too much for marketing :-). Differentiating : You have business processes which are truly differentiating : your company is the only one to make it that way, or produces that type of products or services. Non-Differentiating : Those business processes are just standard business processes. You do the same as the competition in that domain. Core business processes : those business processes are core to your company. Example : Credit or Payment processes in a Bank. “Non-Differntiating” and “Core Business” Business Processes. Those business processes just belong to your industry and so you need to have them. For instance, in the Pharma industry, you need to communicate with the FDA in order to commercialize drugs. In that case, it’s a good idea to try to automate the business processes in order to reduce cost to a maximise. I qualify this zone as “OPTIMIZE” business processes. Differentiating and Core Business : those business processes is your battle field. It’s the place to win new customers by being faster, smarter and offer more than the competition. Those processes are in the INNOVATE zone. It’s the place where you can innovate. Working with a strong BPM and SOA platform can help you achieve your goals faster by providing IT agility. Non-Differentiatng and Non-Core Business : in this case you run business processes which are not really important for you and that will not help you to win market share. This kind of processes should be outsourced to other companies : I put them in the OUTSOURCE zone. Example : outsourcing of Company Cars Pool Management to external companies like ?LeasePlan. If you absolutely want to keep those processes in-house, you’d better manage them right in order to avoid hidden costs and benchmark them. A BPM platform is a plus in that case only. Differentiating and Non-Core Businesses : the first question is to know WHY you are doing this. You have diversified your company with differentiating processes which are non-core. You have two options to handle this : make them core business by adapting the strategy – adding a business unit- or stop doing them by selling or outsourcing them to someone who wants to make them strategic. If they can’t be dropped or promoted to the strategy, you’ll need to manage them you can take advantage of the BPM platform you have bought for your core-processes. Just keep them independant such that you can sell them at any time. 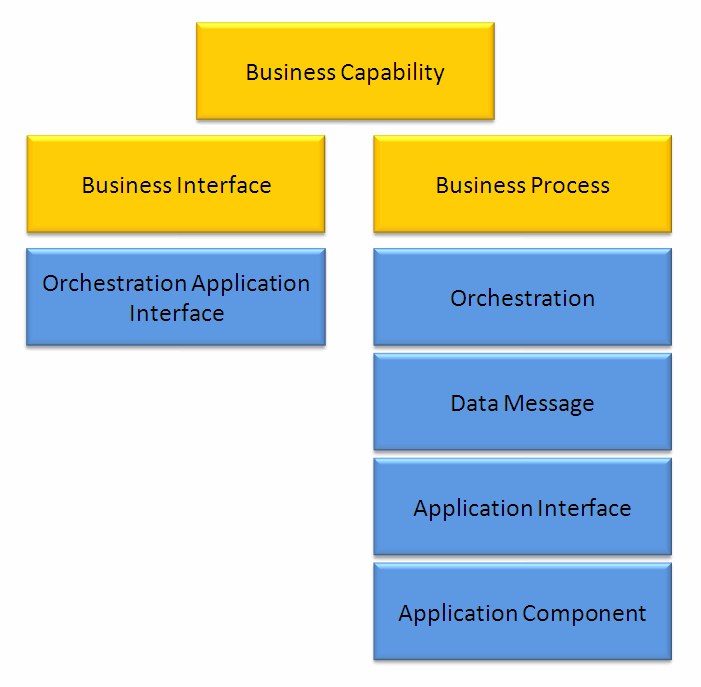 Which Core Business Processes would benefit the most from a BPM platform ? It depends. You can jump into the “Winning the Customer Battle” by providing better services but you can also cut down prices and/or increase margins by optimizing . IBM wants to help companies to Innovate by becoming the Innovator’s Innovator (Seehttp://www.ibm.com/innovation/guide/conclusion.shtml) and after all optimization sometimes requires innovation…. Next question : How does processes stability play a role ? How to search for objects with name containing ‘?’ in SPARX Enterprise Architect ? I had to search more than 2 minutes for this, so I post it. The question is how to escape special characters in the SPARX EA search. 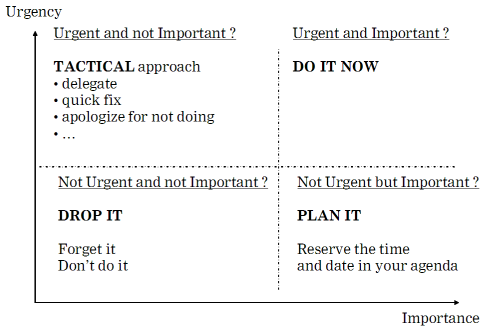 How to prioritize tasks ?